At Miri Piri Academy, spiritual education and practice are a fundamental part of the daily life of the students, with a wide range of opportunities for learning and mastery. Four weekly Yoga classes taught by residential staff, peers, and/or experienced visiting teachers. Daily optional morning Sadhana that includes Kundalini Yoga and meditation. Annual 40-day mandatory Sadhana, with a particularly challenging set of exercises. The practice of Kundalini Yoga is not limited to the scheduled programs. Students are strongly encouraged and guided to choose and maintain a personal practice. To that end, we provide for and promote regular visits to the school by some of the most highly accomplished teachers from around the world. The curriculum for every academic grade at Miri Piri Academy contains a course dedicated to training the students in every aspect of yogic lifestyle. The classes, under the title of Siri Singh Sahib Studies, offer the students information and technologies appropriate to their age group. These classes are designed to help the students lead conscious and healthy lives. Humanology, nutrition, relationships, meditation, personal practice, the lives of saints and mystics, recognizing and balancing emotional crises, and Kundalini Yoga are some of the topics discussed in Siri Singh Sahib Studies. The classes also provide a forum where the students can relate to one another as yogis, and exercise their curiosity and interest regarding the unique lifestyle practiced at Miri Piri Academy. 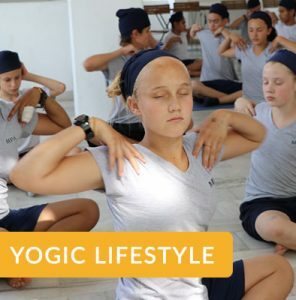 5th to 9th Grade Curriculum: The intermediate classes teach the basic skills for meditation, and prepare the students to face the realities of life as increasingly responsible and independent individuals. 10th Grade Curriculum: The course for 10th-grade students is centered on an overview of the Yogasutras of Patanjali, and it aims to cultivate the desire and ability to delve deeper into the many concepts surrounding the practice of yoga. Senior Students: For the 11th and 12th-grade classes, the Siri Singh Sahib Studies curriculum merges with their intensive Kundalini Yoga Teacher training courses. 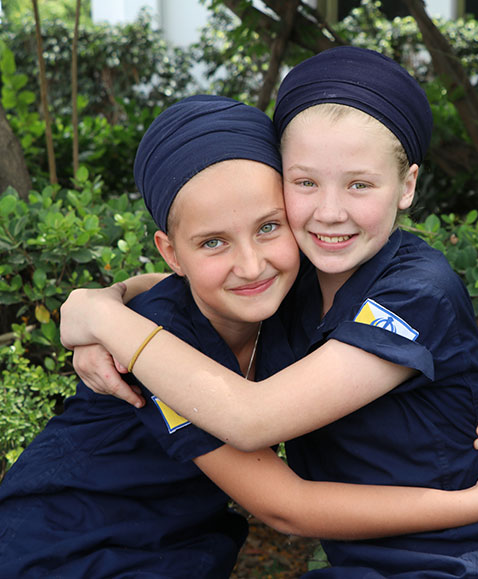 Although not all students at Miri Piri Academy define themselves as ‘Sikh,’ the school program is modeled after the lifestyle taught by the Sikh Gurus. 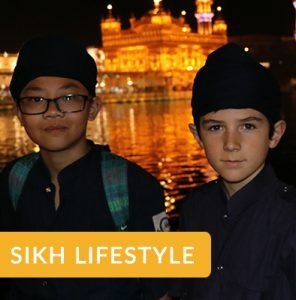 “Sikh” is translated simply as student or disciple. However, it is used most commonly to describe followers of the Sikh religion, which was founded in India by Guru Nanak in the 15th century. There were ten living Guru’s before the Guruship was bestowed upon the Siri Guru Granth Sahib in 1708. Sikhs follow a conscious lifestyle that includes the four pillars of Dharma: Bana, Bani, Simran and Seva, as well as a healthy vegetarian diet, avoidance of drugs and alcohol, and graceful relationships with others. The tenth Guru of the Sikhs, Guru Gobind Singh, gave Sikhs a distinctive appearance known as Bana that includes long, graceful dress, uncut hair and a turban. When a Sikh wears Bana, they represent the Guru and they cannot hide their identity from anyone. 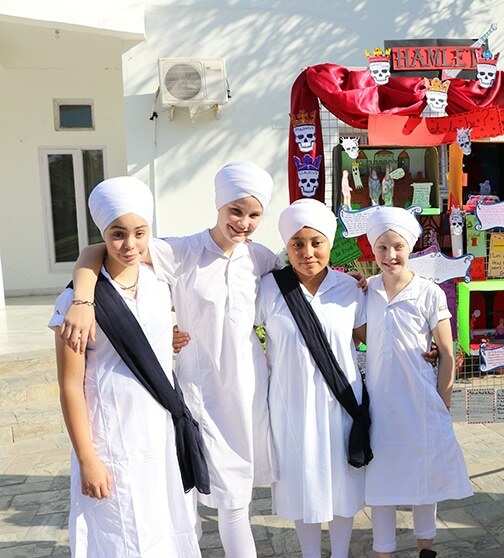 At Miri Piri Academy, the student’s school uniform is modeled after the Bana of Guru Gobind Singh. Bani is simply the word of the Guru. The power of the word is such that when someone recites another’s words, they can attain the same consciousness as the person who originally recited them. When the Bani of the Guru is recited, one can tune in to the consciousness of the Guru. Hymns composed by the Gurus and several Hindu and Muslim saints were collected in a single volume called the Siri Guru Granth Sahib. 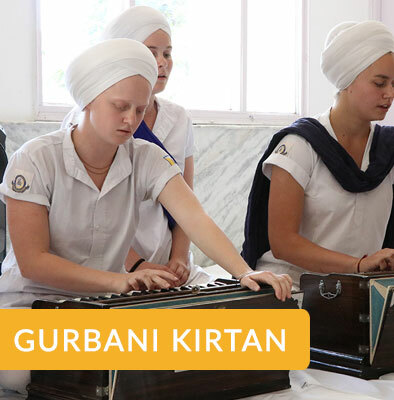 At Miri Piri Academy, the students recite Bani from the Siri Guru Granth Sahib in the morning and in the evening, and the words of the Guru are studied during the academic day in a variety of classes and settings. Simran is the practice of meditation. Recent studies have demonstrated that water is transformed by the vibration of the words or thoughts that are projected at it. Just so, the body, which is 70% water, can be transformed by the vibration of the words and environments surrounding it. By meditating on the Infinite as we go about our day, the infinite vibrates continuously in the very cells of the body. At Miri Piri Academy, the day begins and ends with Nam Simran. Kundalini Yoga classes that include meditation and Nam Simran are a daily occurrence, and Gurbani Kirtan is taught as part of the academic program. 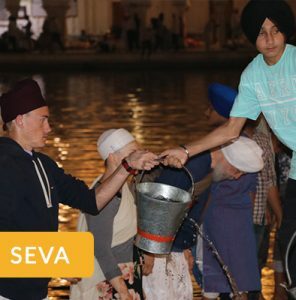 Seva means selfless service. The Sikh concept of God is that of a God present and pervading through all of creation. Thus, Sikhs strive to maintain a consciousness of God’s presence in each being and in each situation they face. Seva is a natural outcome of such a consciousness. When we can see God in all, we are inspired to serve all. The mark of a Sikh is that of humility and service to all. 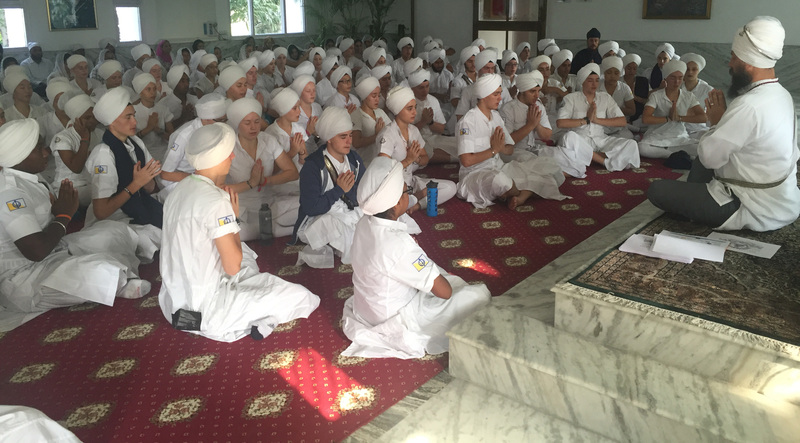 To instill this consciousness in our students, the school participates in cleaning the Parkarma at the Golden Temple, visiting and serving the children at local orphanages, using the senior class trip to help at Sikh Youth Camps in places like Malaysia, Singapore and Thailand, and teaching Kundalini Yoga and meditation in local schools and Yoga centers. Gatka is a Sikh Martial Art that uses various weapons and hand to hand techniques. It is used to train the body and mind to work together and to instill the qualities of a warrior, such as bravery, courage, spirit, and self-discipline. At Miri Piri Academy, Gatka is practiced by the entire school one time per week and is available to those who are interested up to three times a week. 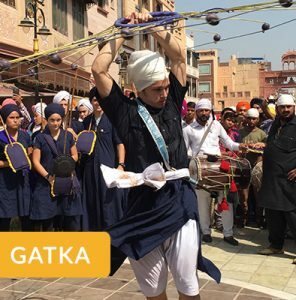 In addition, monthly Gatka intensives are held for those who want to deepen their study and practice. The Miri Piri Academy Gatka Squad participates in exhibitions and parades throughout the year and is a well recognized and much-beloved sight for the citizens of Punjab. Sat Nam Rasayan is an ancient healing system that trains its practitioner to heal through consciousness, connecting the healer with his or her infinite healing power. The technique was passed on to Guru Dev Singh by the Siri Singh Sahib Yogi Bhajan. Even if one does not plan to become a healer, students of Sat Nam Rasayan learn a new approach to reality that can lead to a more relaxed state of mind. They discover a way to heal from daily stress and pressure and perfect a technique to develop awareness and be more connected to the present moment. All intermediate and senior students attend a weekly Sat Nam Rasayan course taught by one of the most experienced practitioners of the art, Siri Kar Kaur. For the more enthusiastic students, a second weekly class is offered, and 12th-grade students attending this optional class have a chance to obtain a first level Sat Nam Rasayan certificate at the conclusion of the academic year. Guru Dev Singh visits Miri Piri Academy on a regular basis, and the students enjoy guest teachers from among his more senior students. Gurbani Kirtan began in the 16th century as the musical expression of divine poetry (shabad) conceived by the founder of Sikhism, Guru Nanak. Following him, all the Sikh Gurus articulated their teachings through music. At Miri Piri Academy, every student has the choice to study Gurbani Kirtan or Tabla during the academic day and may choose to pursue certification by the esteemed Pracheen Kalakendra School of Music. Optional evening classes provide a further opportunity for study and mastery. 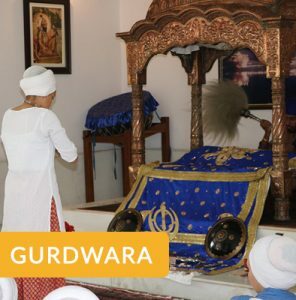 Students are encouraged to actively participate in leading the school during devotional Gurdwara services and have the opportunity to lead the congregation both at the school and at numerous Gurdwaras and events to which we are invited throughout the year. Every year, all students participate in a special course designed to deepen their understanding of themselves, their relationships, their health, and their spiritual practice. Instruction is divided by gender so that students can receive the information and training that best suits their needs as they enter society. The program includes intensive yoga and physical training, courses on yogic diet, goal-setting, and positive thinking, and training in relationship and communication skills. Each year our students and staff choose a particularly challenging set of meditations for a school-wide 40-day Sadhana (daily spiritual discipline). Everyone rises early in the morning to participate. A few of our choices in the past several years include long Ek Ong Kars, repetition of the Re-Man shabd, and a combination of bowing Jaap-Sahib and Kirtan Kriya. On another occasion, the school as a whole wakes up at 2:30 AM to perform the Seva of cleaning the parkarma at the Golden Temple for forty days. 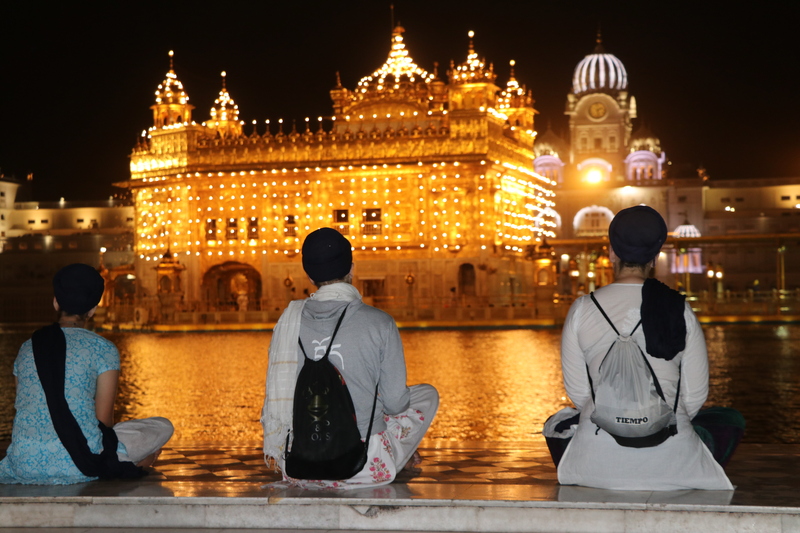 We stay at the Golden Temple for an hour after the service is done, and the students tend to practice their individual meditations during that time. 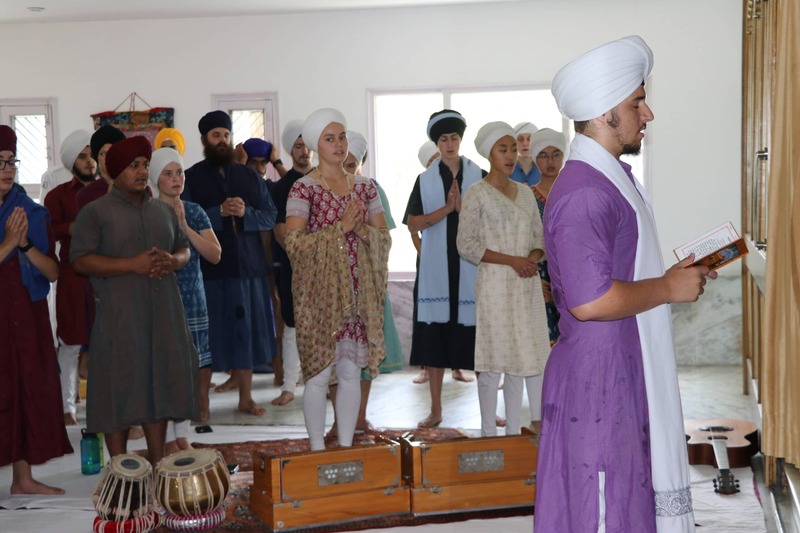 Every year we organize a voluntary trip to Goindwal, a Gurdwara established by Guru Amar Das, where students participate in the recitation of Japji Sahib, the Song of the Soul, on each of the 84 steps. The process takes a minimum of 12 hours, and students who choose to participate in the meditation gain a new experience of Japji Sahib and of themselves. 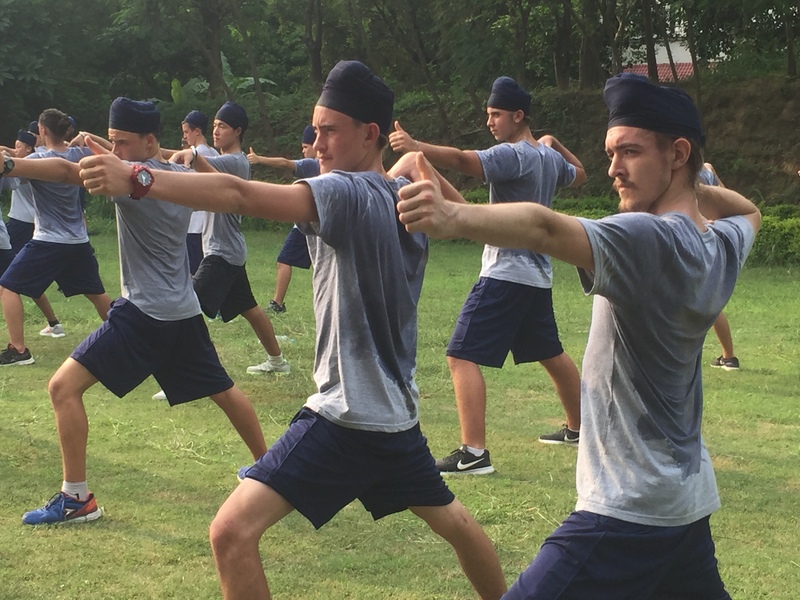 Our 12th-grade students attend the Rishikesh course held by Guru Dev Singh, master of Sat Nam Rasayan, which centers around recitation of the Re-Man shabd 11,000 times in a period of six days. Each participant has to chant and meditate for at least 14 hours a day to complete the goal. This shabad is said to create deep wisdom and the purity of a Yogi. 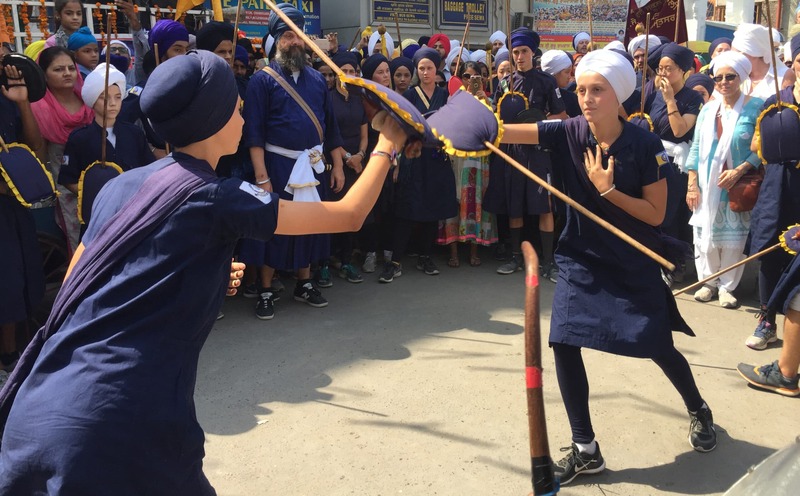 Once a month the students participate in an intensive practice of Gatka that begins early in the morning and continues until midday. Our teachers acquaint the students with new concepts and give individual attention to each student’s progress. The recently completed Gurdwara is a beautiful, meditative environment for the many activities that take place there throughout the day. A state of the art projection screen facilitates group participation and learning, and the attached library includes many volumes of spiritual knowledge as well as an electronic archive of the Siri Singh Sahib Ji’s lectures. Thanks to Gurubachan Singh and Kaur Khalsa who made it’s construction possible!